“Nonlinearity and fractality in the variability of cardiac period in the lizard, Gallotia galloti: effects of autonomic blockade” American Journal of Physiology-Regulatory, Integrative and Comparative Physiology, (2008): De Vera, L., Santana, A., Gonzalez, J.J.
“Autonomic mediation in the interdependences between cardio cortical activity time variations and between cardiorespiratory activity time variations in the lizard, Gallo” Comparative Biochemistry and Physiology. Part A, Molecular & Integrative Physiology, (2008): De Vera, L., Santana, A., Pereda, E., Gonzalez, J.J.
“Maturational changes in the interdependencies between cortical brain areas of neonates during sleep” Cerebral Cortex (2007): de la Cruz, D. M., Mañas, S., Pereda, E., Garrido, J.M., López, S., De Vera, L., González, J.J.
Dr. Gonzalez is passionate about Family Medicine and working closely with his patients across the Houston-area to help them achieve their optimal health. 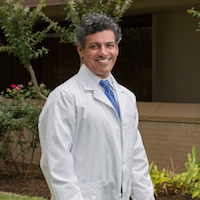 Dr. Gonzalez went to the University of Texas Medical Branch at Galveston and completed his post-doctoral residency training at the Memorial Hermann Southwest Hospital in Houston, TX. 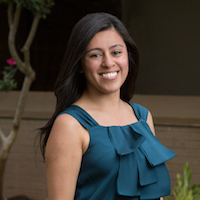 Additionally, Dr. Gonzalez specializes in Occupational Medicine and innovative Preventive Medicine.